How Much Does A New Air Conditioning System Cost? For many reasons, “How much does a new air conditioning system cost?” is a big unknown for homeowners. The broad answer for 2017 is $5000-$18,000, and you shouldn’t see more than a $1000 difference between HVAC contractors on an “apples to apples” bid. We will dive in further on this post to explain the variables that can greatly affect the cost of an air conditioning system replacement and give some more specific pricing. This is the size of the AC unit that you need to stay comfortable in your home. Like most things, the price goes up with the size of the unit. This factor is largely determined by the composition of your home. An HVAC professional can properly size the unit for you. This is the efficiency of your AC system. Federal registrations require a minimum of 14 SEER in the DFW area and we have units all the way up to 20 SEER. The 14 SEER AC units are basic in terms of features and energy usage. As the SEER goes up, the energy usage goes down and comfort features are added. As you can see, the ranges for each type of air conditioning system still vary even when we break them down into tiers. 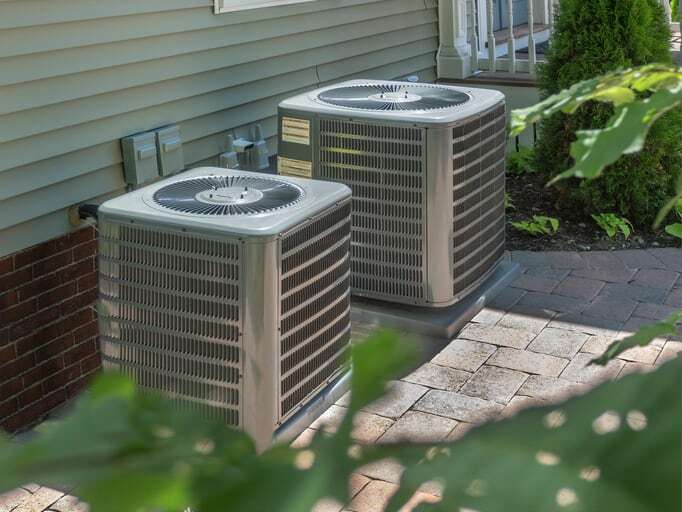 The best way to see what it will cost is to replace your air conditioning system is to schedule an appointment with us for a free estimate and we can take a look at all of the factors and give you a quote.